This book tells the story of one branch of the Mohinani family, the children of Muli and Boolchand. It traces their ancestry to Mohan, from whom the family name originated, and gives vivid glimpses of the lifestyle, values and aspirations of past generations. Muli and Boolchand’s story is one of adventure and hardship, of constant striving and adapting to new environments. This book takes the reader on a journey to the very different places in which they led their challenging lives, and into a fascinating world with all kinds of situations and ways of doing things which no longer exist. As we come to the present day, the story evolves to one of peace and plenty. The younger generation of the family may no longer have to worry about the basic necessities of life, but they face their own pain and difficulties, often more emotional than material. This book was written as a tribute to Muli and Boolchand, to give their eleven wonderful children, the stars of this story, the opportunity to look back and enjoy their colourful and admirable history. It was also written with the younger and yet-unborn Mohinanis in mind, giving them a link to the people and events of the past which shaped their lives and made them whom they are. 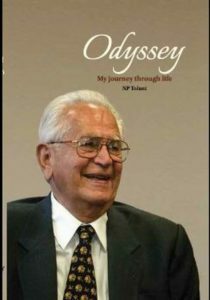 At one level, this is Dr Nandlal P Tolani’s personal narrative, and describes thoughts, feelings and incidents from his life. At another, it provides a vibrant context for ninety years of Indian history. 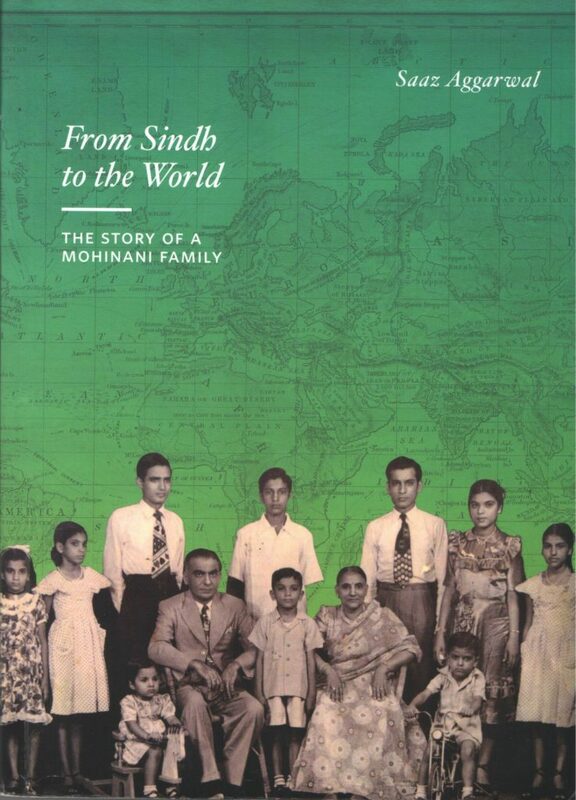 Dr Tolani was born and raised in pre-Partition India, and this book gives an insight into the little-known story of the Hindus of Sindh, their unspoken trauma and the heroic rebuilding of their lives. Through Dr Tolani’s vivid descriptions and often humorous anecdotes, the prevailing business process, strategy and environment, and how these evolved over the decades, come to life. During the journey that made Tolani Shipping a highly respected company in India and abroad, Dr Tolani left a prominent mark in other areas too. An original thinker who earned a PhD from Cornell University, he tells here of his sailing adventures and bridge trophies, and also the platforms he created for others to enjoy and compete in these sports. Most significant, in this book we observe Dr Tolani’s commitment to education through the institutions of higher learning he endowed and created, which have gained domestic and international recognition and empowered thousands of youngsters. When Darius Forbes built his first factory in Kasarwadi, Poona, entrepreneurship in manufacturing was almost entirely unknown to India. The British had ruled for nearly 200 years and recently withdrawn, leaving the newly-independent nation depleted by the Second World War and ravaged by Partition. Indian factories relied on imported components but the country’s foreign exchange reserves were dwindling and Darius Forbes worked in an economy increasingly controlled by government regulation. By the time he retired in 1985, hundreds of organizations across the country were relying on Forbes Marshall’s Indian-made products. Darius Forbes handed over the company to his sons Farhad and Naushad and his daughter-in-law Rati. Their early initiatives included new technical collaborations, enhanced productivity, a young team groomed for independent leadership, larger premises, and a renewed commitment to Darius Forbes’ social initiatives. With these, they created a solid foundation which gave Forbes Marshall a vantage position to create and address opportunities when the Indian government introduced economic reforms in 1991. In the 25 years since then, Forbes Marshall has grown into a multinational business with fifty locations and five manufacturing facilities. India’s leading manufacturer of steam systems and process instrumentation products, it is widely admired for its commitment to ethical standards, seen by its customers as a trusted partner, by people within its communities as a reliable helping hand and by its members as the best company in India to work for. 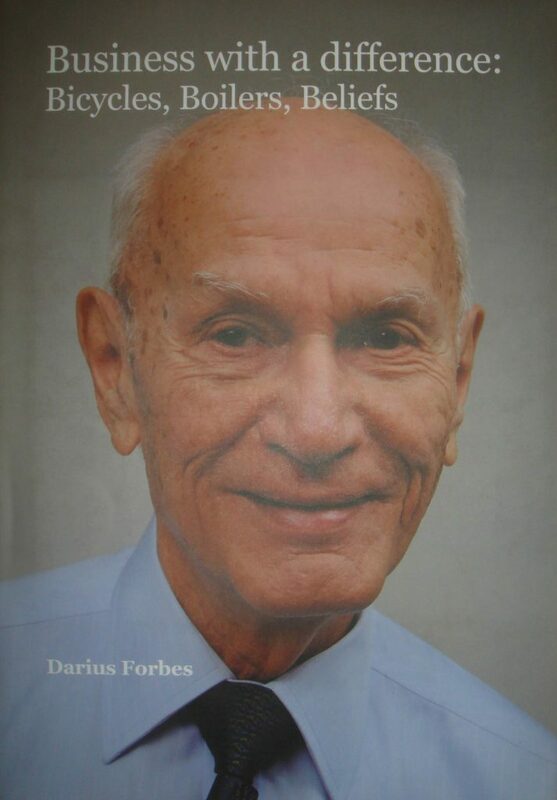 In this book, Darius Forbes, patriarch of the Forbes Marshall Group, tells the story of his life. There are descriptions of childhood and adolescence during a time when India struggled for freedom amidst the global struggle of the Second World War, life in a newly independent nation, the struggle of an entrepreneur in a restrictive economy, and, later, his strategic withdrawal from active involvement in the business when his children took over and the Indian economy began to grow. 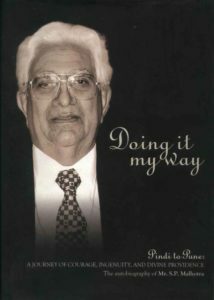 Darius Forbes was born in 1926, into a family of Parsi professionals, many of whom were lawyers. He grew up with strong loyalties to Mahatma Gandhi and the Indian freedom movement. Starting work at age twenty in JN Marshall & Co, his uncle’s trading company, he travelled to England and established relationships with a number of specialist organisations which in the years to come would form the basis for a flourishing business. In 1958 Darius Forbes became one of the first of a wave of Indian entrepreneurs to take to manufacturing, growing the business by determinedly seeking out market opportunities in a focused way. An active subtext throughout the story are Darius Forbes’ calm and philosophic nature, and his commitment to his family, to the community, and to social causes. The book captures the process of technology transfer from the world’s leading country to a (then) technologically – raw nation. Sandvik’s hi-tech engineering technology, advanced products, expert R&D, people competence and world leading position brought new opportunities for the country and its people. In ways more than one, the company contributed in consolidating India’s industrial status and development. 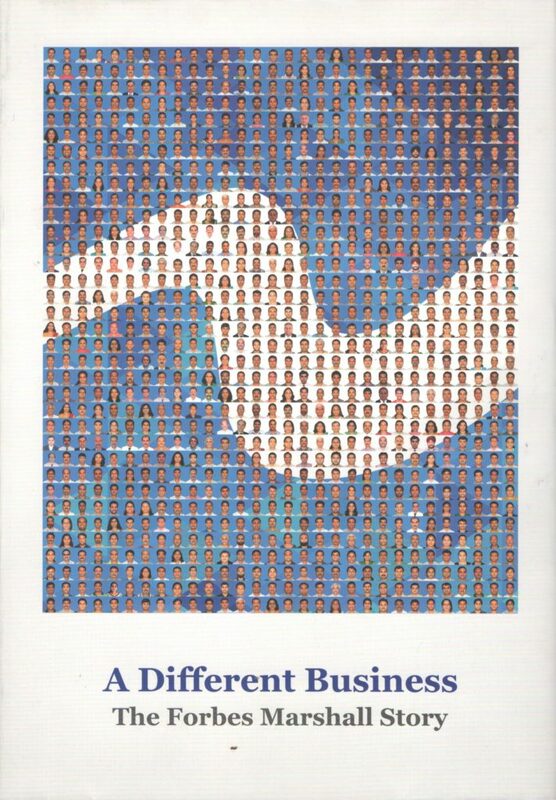 This biography shows how a company has been successful in creating an operation combining qualities from both Sweden and India. This is the true story of Pralhad P. Chhabria, a young Indian boy who had nothing – no money, no contacts, not even any education – and began a small business which grew to become one of India’s largest cable and pipe companies, Finolex. 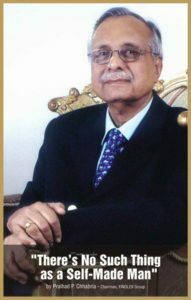 P. P. Chhabria was born in 1930 to a wealthy family. But his father died when he was only 12 and he was sent to work as a cleaning boy in a small cloth shop in Karachi for a monthly wage of Rs. 10. He lived briefly in Amritsar and moved to Poona in 1945. Working his way through stints as a domestic servant, a collection agent, a trader in electrical accessories, and a supplier of defence contracts, he flourished with the unrelenting instinct of the entrepreneur. He established Finolex in 1958 along with his younger brother Kishan or K.P. Chhabria. The company is now the number one manufacturer of cables in India, and second only to Reliance in the manufacture of PVC resin. He became head of his family and business when he was only fifteen. Orphaned at nineteen, rendered homeless by Partition at twenty-one, Satpal Malhotra arrived in Pune at 8.30 pm on the 13th of November 1947. In three days time he had rented a shop, set up a business, and even made a profit. 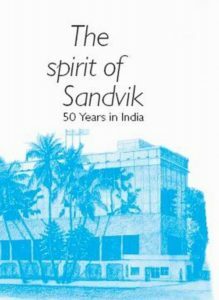 This book is the dramatic and searingly honest autobiography of the founder of Weikfield, the Indian food products company with the longest history, the largest distribution network – and the best taste.